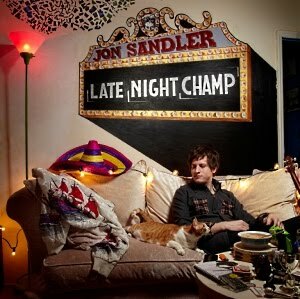 Last week, we featured Jon Sandler's "Late Night Champ" as our Song Of The Day. Today, he's dropping by to spend Seven Questions In Heaven with us. 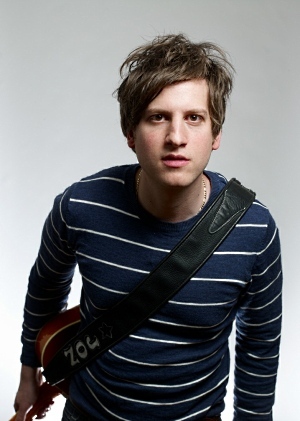 My music is genre-spanning honest pop fusion. I think that may have been the most succinct I have ever explained it! My influences are brilliant songwriters who are also charismatic and captivating performers: Freddie Mercury, Elton John and David Byrne to name just a few. There are a few that stand out. I definitely had a Bon Jovi cassette as one of my first musical memories. I bought a Boys II Men album with my own money when I was very young... there was also that Mr. Big single in about '91... I loved that song. Love the video for "Late Night Champ;" performing in front of The Gravitron makes for an incredible visual. What made you decide on this locale and theme for the video? How did you go about finding the unique extras? Were any of them friends? Thank you, glad you enjoyed it! Honestly, I've got to give most of the credit to the wonderful director Nick Heller. He came up with the concept and location and I pretty much went along for the ride. It was really the first time I let someone else take the reins creatively on something involving one of my songs. I am definitely proud of how it came out! The gang of Late Night Champs were all extremely talented local actors and performers. Some of them have been in things that people have seen. I didn't know any of them beforehand, but they were all great to work with and amazing people. Confession time: the first verse of "Late Night Champ" sounds like it could be used in a commercial. If you were approached by a fast food chain, would you license your song to them? What are your feelings when you hear a song you love used in a commercial? Do you have any issues with this practice? I have never thought of that, but if a fast food chain approached me, I would absolutely license the song! I am a firm believer that there is no such thing as "selling out." As long as your intentions are good and you stay true to who you are, the music business is hard enough without turning down opportunities because of some misplaced feeling of pride or guilt. I want as many people as possible to enjoy my songs. When I hear a song I love in a commercial, firs, I enjoy the song because it's a song that I like, and second I say, "Good for Jason Mraz. He just earned a new car and hell, he deserves it!" Describe your songwriting process for us. Are you someone who sits down and writes or do you let inspiration find you instead? I am definitely someone who lets inspiration find me. Whenever I try to sit down and write a song, I find myself writing what I think people want to hear, not expressing my true and current emotion. The bill is John Lennon, Bob Marley, Jerry Garcia, Michael Jackson and The Talking Heads as the house band, and our final song is an epic slow jam version of "Man In The Mirror."